The Puruvian Rites of the Munay-Ki come from a Quechua word that means 'I love you.' The Munay-Ki are a series of nine rites of initiation. They are beautiful rites, designed to assist us in becoming people of wisdom and power, helping us to truly connect with Life and as a result, embrace the stewardship for all Creation. Amber Healing Center is honored and humbled to offer these Rites that will truly Transform the lives of those who receive them! The Rites of the Munay-Ki transform and upgrade a person's luminous energy field. They are energetic transmissions that heal wounds of the past, one's karmic & genetic inheritance. They re-inform DNA, enabling the receiver to grow a new body - one that ages, heals, and dies differently. The Munay-Ki is truly an invitation to dream an entire new world into being. The Munay-Ki helps us to become instruments of peace and agents for change and transformation. As you are initiated into the Nine Rites you join a group of ordinary men and women who lead extraordinary lives, the Earthkeepers or Medicine people of the Americas. As you experience the Munay-Ki, you'll feel the presence and sense the wisdom of these luminous ones who have broken out of linear time and now dwell in infinity. As you receive the nine rites, your chakras will have the opportunity to become clear and you will acquire what the Earthkeepers know as the rainbow body, as your chakras glow with their original radiance. Dona Asunta, Qu'ero Paco from Peru and Denise during intensive weekend retreat. 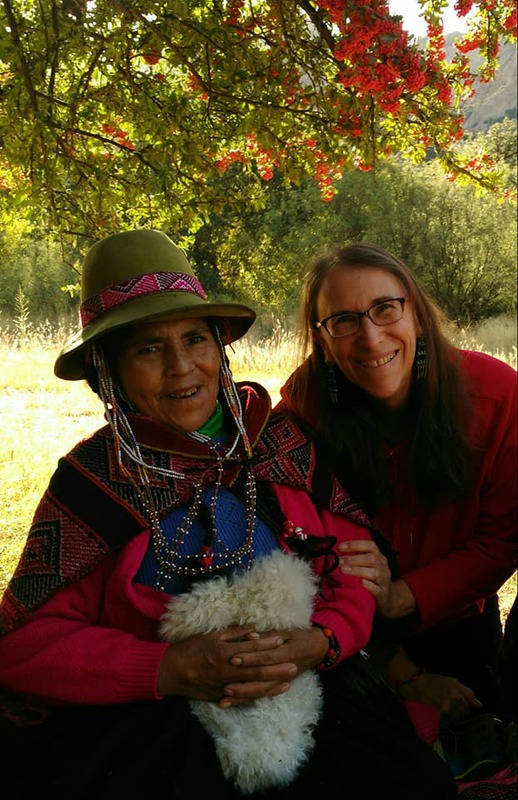 Dona Asunta is an amazing soul who generously shares her wisdom with the intention of helping people everywhere to heal themselves and to respect and love all of life.